Vitabiotics share their top 5 fitness tips for those adopting a vegan diet to help you stay on track to achieve your fitness goals. There are countless benefits of adopting a vegan diet, including increased energy and faster recovery time after exercising. Diet plays a vital part in helping you to achieve your fitness goals, so the nutrition experts over at Vitabiotics have provided their top 5 fitness tips for those adopting a vegan diet to help you stay on track to achieve your fitness goals. It’s important to start slow if you’re adopting a new exercise routine. 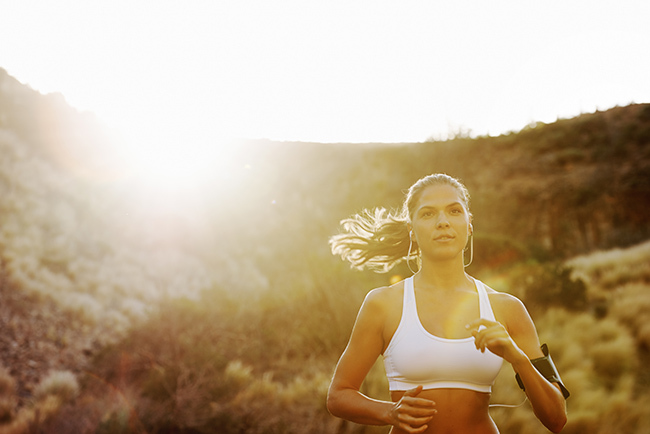 Easing yourself into exercise can help to build up muscle strength over time and aid recovery. In order to make sure you’re not overexerting yourself to begin with, opt for short, lower intensity and lower frequency workouts. Exercise for around 30-45 minutes per session and lift heavy weights for fewer reps. This is the optimal level of exercise to help you gain muscle without putting too much pressure on your body. Beginner’s yoga – Opt for Hatha yoga if you’re new to this practice. This form is more gentle and moves more slowly than other forms of yoga. Swimming – A long duration, low-intensity swimming session can exercise your whole body without overexerting your muscles. Light walk – Walking is an easy exercise to get into, and it can help you to lose weight and de-stress. General household chores e.g. gardening, mopping and vacuuming – You can burn calories through daily household chores. Sweeping and vacuuming for 30 mins can burn 136 and 119 calories respectively! Once your body is used to regular low-intensity workouts, you can up the intensity to burn more calories without damaging your muscles. In order to make the most of your workout, it’s essential to fuel your body with the right foods. This can help to improve your performance whilst exercising and give you the energy to see your workout right through until the end. Your main food focus before a gym-session should be carbs. More specifically, a 3:1 ratio of carbs to protein. However, make sure to keep your food-intake light so you don’t experience any crippling stomach cramps during your workout! 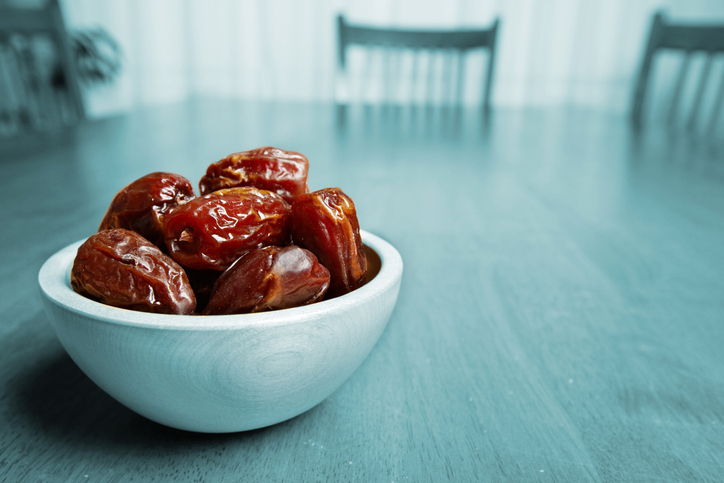 A handful of fresh, medjool dates are an easy to grab snack that you can munch on before heading to the gym or before you embark on a run. They’re high in glucose and can provide you with an energy-boost to keep you going whilst exercising. If you’re having a hard time recovering from exercise, you may need to rethink your post-workout nutrition. Firstly, you should always aim to eat a recovery meal or snack within 15-60 mins of finishing your workout, as this is when your muscles start the repair process. Secondly, it’s important to include both carbs and protein in your post-workout snack. Fortunately, there are plenty of vegan-friendly ingredients you can throw together to make the perfect smoothie or shake to repair and refuel your muscles. Fruit smoothies with added soy milk and coconut yoghurt – Fruits such as grapes, mangoes and pears are heavily alkaline and can help to reduce lactic acid build-up after a workout. High-quality vegan protein powder – If you find it difficult to get enough protein, incorporate a vegan protein powder into your post-workout meal or shake for a boost. Lentil spaghetti bolognese – With this hearty meal, you’ll get the right carbs and proteins to facilitate a speedy recovery. Refining your nutrition will help to provide you with all the tools you need to aid muscle recovery after a workout. You may find it difficult to get the right levels of vitamin B-12 when adopting a vegan diet. This is because this vitamin is normally present in animal products such as liver, eggs and fish. Vegans and all adults over 50 – even meat eaters – should get their B12 from supplements or fortified foods. 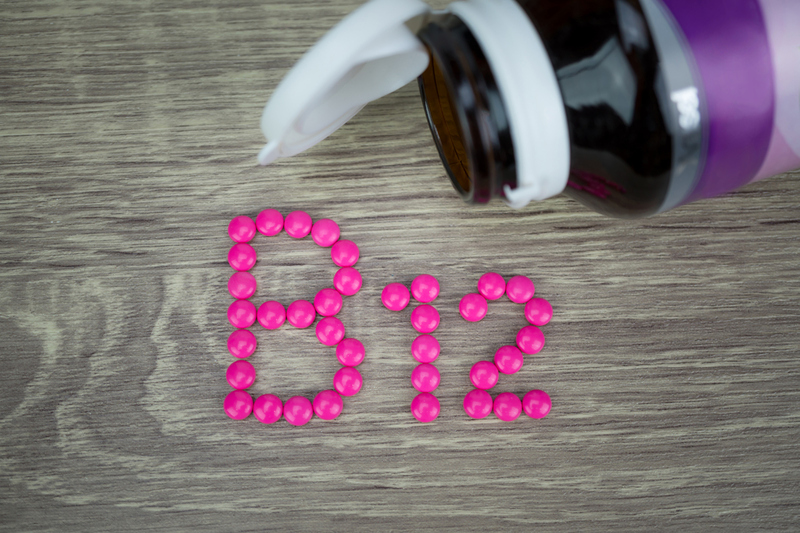 Vitamin B-12 plays an important role in energy production, therefore, you may feel more tired and sluggish if you’re not getting enough in your diet. Viva!Health recommends an intake of 5µg per day from fortified foods, with the regular use of supplements to ensure topping this up. Iron is another vitamin that many people worry about being deficient in when they adopt a vegan diet, but it’s a myth that you need to eat red meat to get enough iron. Research suggests that vegans actually consume more iron than meat-eaters or vegetarians. You can easily achieve your daily iron intake from a range of everyday foods like nuts, seeds and raisins to your cereal along with a few vitamin C-rich blueberries or strawberries. Or tuck into scrambled tofu on wholemeal toast with a glass of orange juice. An iron-rich lunch might be a Moroccan lentil soup and a wholemeal roll, or a quinoa and mixed bean salad. Dinner ideas include smoked tofu stir-fry with brown rice, broccoli and pumpkin seeds, or chickpea and spinach curry or pasta and beans. Be adventurous! A vegan supplement can help you to get the right levels of important vitamins and minerals to support an active lifestyle, and they don’t contain any animal products so they’re vegan-friendly. You can find out more about which supplements you should be taking on a vegan diet here. 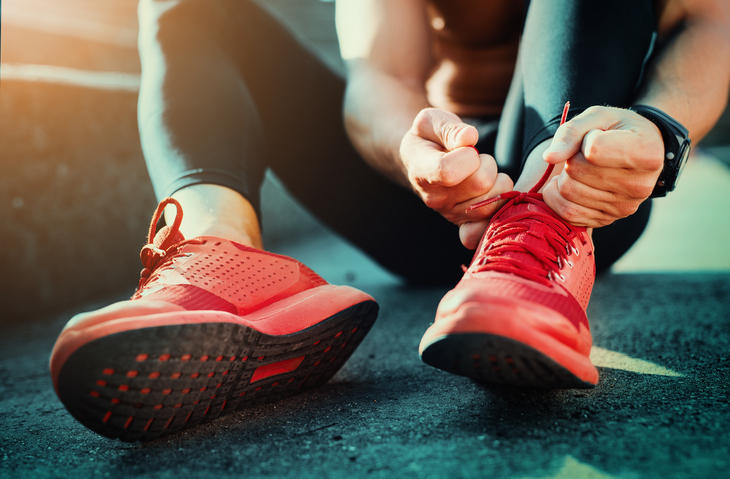 When you’re passionate about exercise, it can be difficult to remember that rest is just as important as keeping fit. It’s crucial to give your muscles that extra time to recover, so take as much time as you need to make sure your body is ready to hit the gym for your next session. On your rest days you should feel comfortable and relaxed and you don’t have to avoid exercise completely. Instead, opt for low-intensity exercise such as yoga or walking to remain active whilst giving your muscle times to rest. Exercising on a vegan diet shouldn’t be complicated. Simply keep your body fueled with a high quantity of high-quality foods and you’ll be right on track to achieve your fitness goals, and hopefully exceed them! 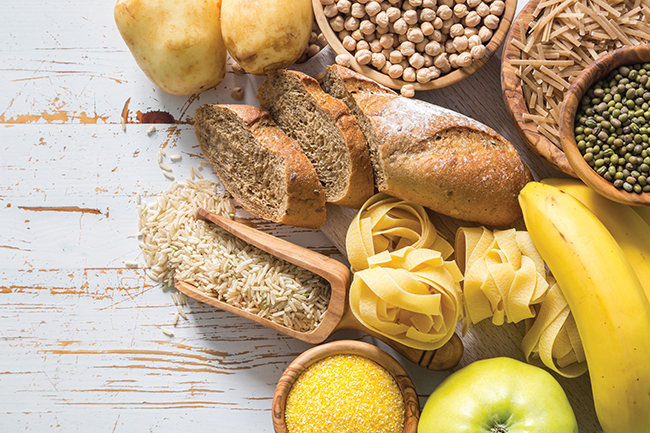 Want to know more about what foods you should be eating to help fuel your workouts? Check out our vegan workout nutrition guide here. If you want to learn more about building lean muscle on a vegan diet, check out our top tips here.